I was really suprised at how many things can be seen and done in Nairobi! From museums to bungee jumping to tea plantations and soggy giraffe kisses. Have you ever touched an elephant or wanted to know what it feels like? Yes? Then Nairobi is the right city for you. Below you can find my favourite things to do in Nairobi – including lots of fun of course! South of Nairobi, not too far from the center, lies Nairobi National Park. Here you get to be up close and personal with a variety of different animals. You can either chose to be driven around in a Safari van or take a Safari walk – I highly recommend the latter! The Safari walk is basically a mini safari which enables you to get up close to the animals. Much closer than you would in the wild. You also get to see a lot more different animals in just two hours than in the steppe. Although both is very tempting. I spent my last few hours in the Nairobi National Park before moving on to different places. I thorougly enjoyed every second of my visit – I highly, highly recommend coming here! Have you ever asked yourself how tea is made? Even if you are not an avid tea lover like me I still recommend taking this day trip. Leave the bustling city and visit the beautiful farmland instead! 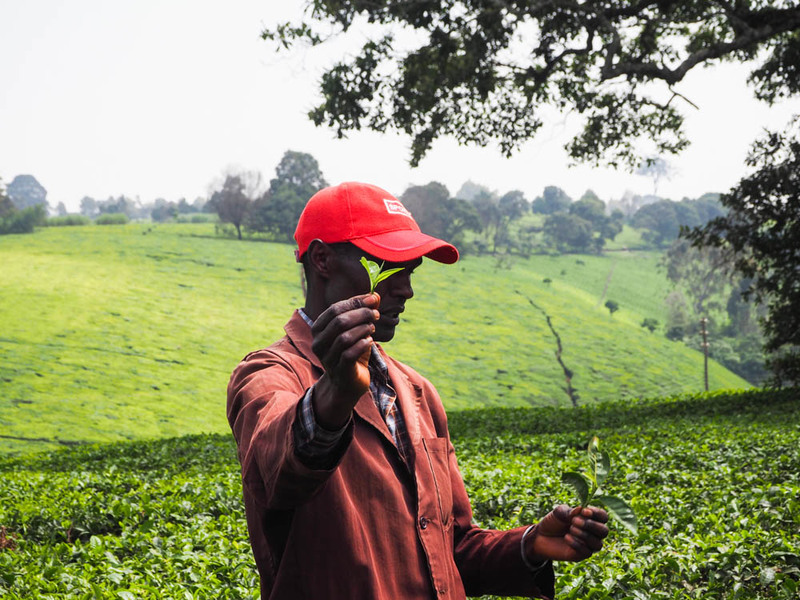 Kiambethu tea farm, located just outside of Nairobi, is managed by a lovely lady called Fiona. She warmly welcomes her guests in a beautiful English country house with – no surprise here – a mug of black tea and homemade cookies. 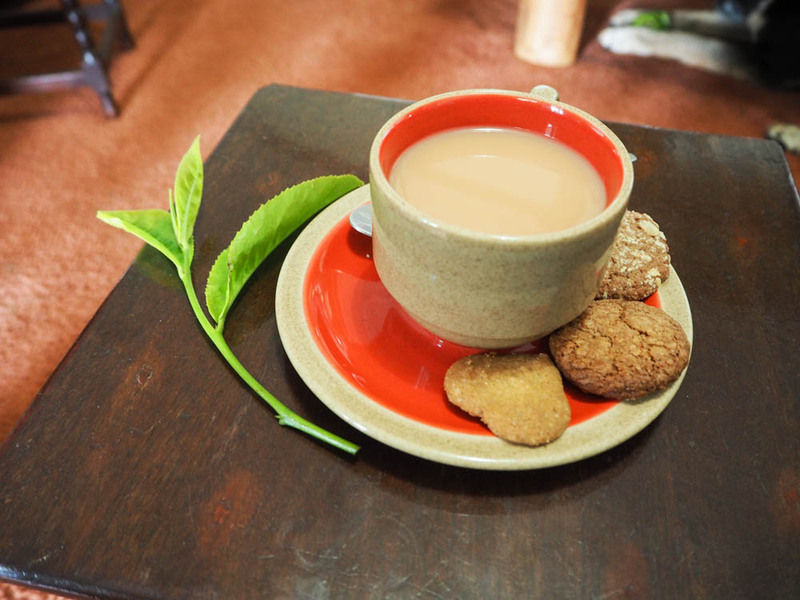 Fiona tells us about her family and how she got into producing tea here in Kenya. She tells us how the tea leaves are picked from the bushes and turned into tea we know. It absolutely amazes me how much work and time is required to produce high quality tea! After she leads us to the tea bushes and a small part of the jungle. The fields look like they are covered in thick, green woolen blankets because of the rows and rows of tea bushes snuggled into the country side. Returning from our walk another higlight already awaits us: table have been set and a buffet awaits. After filling our plates and glasses we sit down, enjoy the winter sun and eagerly exchange stories. reserve your spot: don’t forget to book your space well in advance so Fiona can prepare enough food for everyone. Click here. be sure to book a driver who either waits for you or picks you up after your trip. The drive takes approx. 40 mins and don’t forget to agree on a taxi fare beforehand. Unfortunately a lot of elephants get hunted and killed for their ivory bones. Some are females and that is the reason why a lot baby elephants end up being orphans. Elephant babies need their mother’s milk for three years to survive so those lovely creatures would be doomed without the help of . They would be left to starve or be hunted by other predators. Volunteers pick up elephant orphans from different national parks all around Tanzania and Kenya for them to be take to the David Sheldrick Wildlife Trusts. The elephants get fed, tended to and are genuinely loved by all the staff. The public can watch the feeding every day from 11:00 am to 12:00 pm and visitors can even (if desired) touch the elephants. When I visited, the orphanage was home to about 30 baby elephants who were all introduced to us. Each elephants is named by their keeper and is introduced to the visitors. The keepers also tell the age and reason why they are there at the introduction round. The elephants run around in circles munching on leaves they rip from the tree branches. You can get real close to the “little” gentle giants, may even stroke them if you want. One of the elephants passes right in front of me, I can’t resist the urge to stroke it so I reach my hand out to it. Elephant skin feels rough and thick to my touch. The “sunscreen” mud gives it an oily, reddish brown film. After about an hour all elephants were introduced to us and their stories leave me pondering. One thing is real clear to me: Those elephants wouldn’t be in the orphanage if it wasn’t for all the greedy, inane and stupid people who make money of of ivory bones. Ivory bones only look good on elephants! Facing a giraffe on eye level isn’t all that easy since I don’t fancy walking around on stilts as it 1. fairly difficult and 2. problably forbidden. The giraffe center is almost around the corner from the elephant orphanage. The name kind of gives it away but this is the place to meet yellow-brown spotted animals and check them out from close procimity, feed them, pet them or even kiss them! A wooden staircase leads up to a plateau from where you can overlook a large giraffe pen. Keepers distribute food drops and fresh twigs to feed to the giraffes. The animals seem to hungry as well as really nosey. Gently and carfully they mve in closer, putting up with being petted in exchange for food. Rafting – a day trip from Nairobi! This is for all active, adventure and fun loving, adrenaline seeking travelers who fancy rafting in a crocodile free river in Africa! 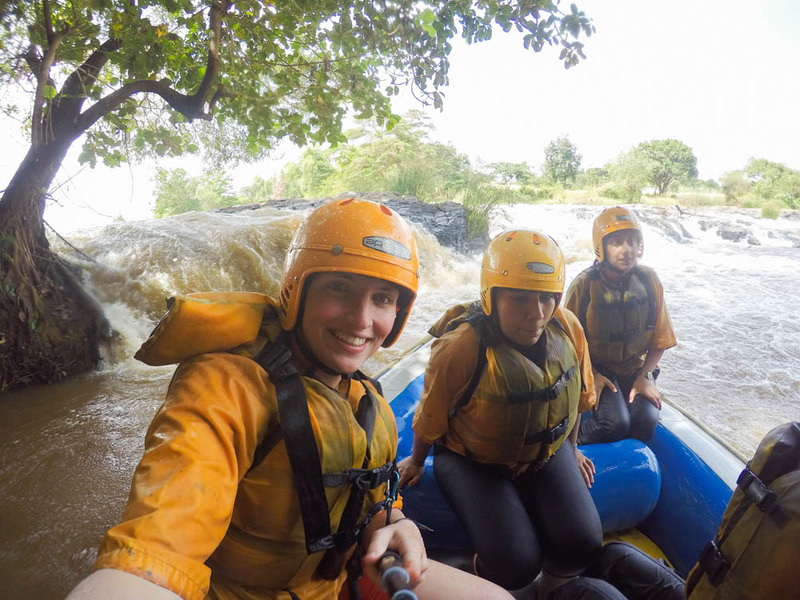 I don’t it is possible to raft in the city of Nairobi, but there are several tour operators who pick you up and take you to the rafting river. I was picked up near the Sarit Centres and arrived at the camp of Savage Wilderness after an hour long drive. We were greeted by our guide Andreas. We were given a lesson on how to behave on boat (well how we were supposed to behave anyway). We then received life vests and helmets, jumped back on the bus and drove up river to our starting point. We practiced how to use the oars correctly and off we went! We spent more than three hours in the river. In the beginning it was a fairly comfortable boat trip, but then we encountered little waterfalls and currents. This is when the real fun started! Not getting wet wasn’t an option, I plunged into the river more than once to emerge outside of the boat seconds later. It was so much fun and can only recommend it to all of you! Try it and have a blast!! We were rewarded with a delicious BBQ in the camp before we were driven back to Nairobi. 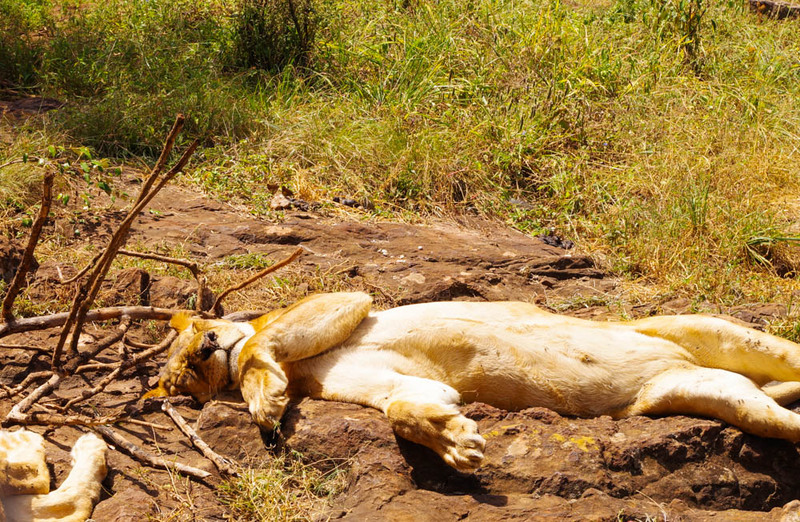 Aww…that lion sleeping lazily is so cute! I had no idea giraffes have such a long tongue! Thinking seriously about wildlife safaris now. What a great experience ! 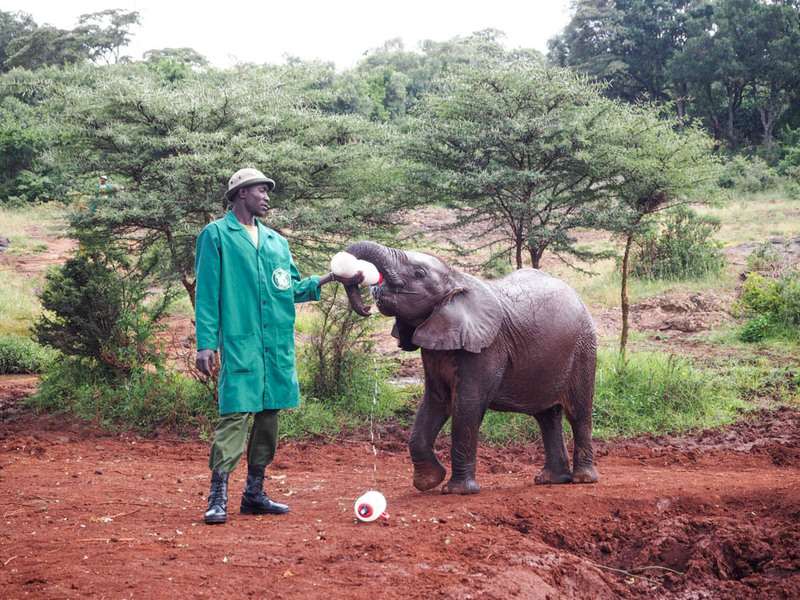 I didn’t know you could do that many things in Nairobi, and I had no idea you could go in an elephant orphanage (I’m crazy about elephants but revolted by how humans tend to treat them….) which sounds like something I would love to do. And the rafting ! Thanks for all the info about this place ! It’s so sad how so many people treat wildlife with no respect at all. The Elephant Orphanage does a good job educating people about the issues. I only made it to Southern Africa on my last trip and really want to go back and explore East Africa. 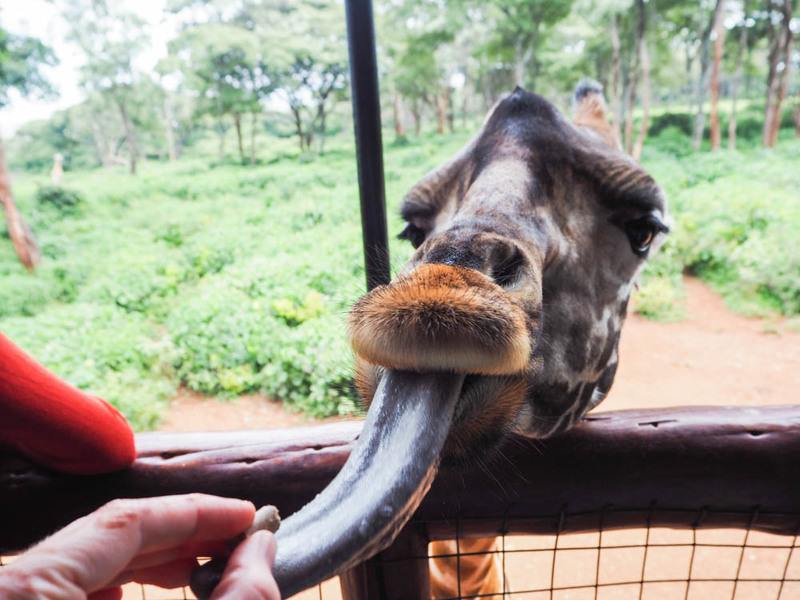 Nairobi is going to be my next starting point and i’ve put Giraffe kisses at the top of my list! I laughed so much with the real giraffe kiss thing, lol. It is true that usually African capitals are basically just a landing place, Nairobi seems to be a kind of exception, so much to do! Nairobi has so much to offer. I would love to visit, especially for the wildlife. I would love to get a giraffe kiss! Put it on your list! There’s even a hotel where you can have breakfast with Giraffes! Minus the rafting (I get scared! ), everything else looks dandy. I really have to go to Africa…and Nairobi! I would love to do the Walking Safari and if I could stroke the lion’s belly it’d be even more fun. I saw a documentary on elephants being killed for their ivory and their babies getting orphaned. It’s heartbreaking. Thanks so much for this information! Yesterday found me kissing a giraffe thanks to you!